Banker Lopez Gassler will be a sponsor at the 2013 Florida Insurance Education Committee (FIFEC) Conference. Dale Parker, Esq. & Troy McRitchie, Esq. will be speaking at the event. 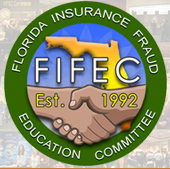 FIFEC is a non-profit corporation comprised of special investigative unit investigators, law enforcement personnel and dedicated individuals whose purpose is to organize and present an annual statewide educational seminar related to deterring, detecting, investigating and prosecuting insurance fraud. FIFEC is proud of its mission to provide insurance fraud education and training by giving grants to the law enforcement and criminal justice community that attend what is now known as the annual FIFEC Conference.